Monday night we got almost six inches of snow – six! That’s a big deal for us desert rats. They delayed school by two hours and we played in the snow last night. It’s also a big deal that the snow was still there to play in eight hours later. We even made snow ice cream for dessert. 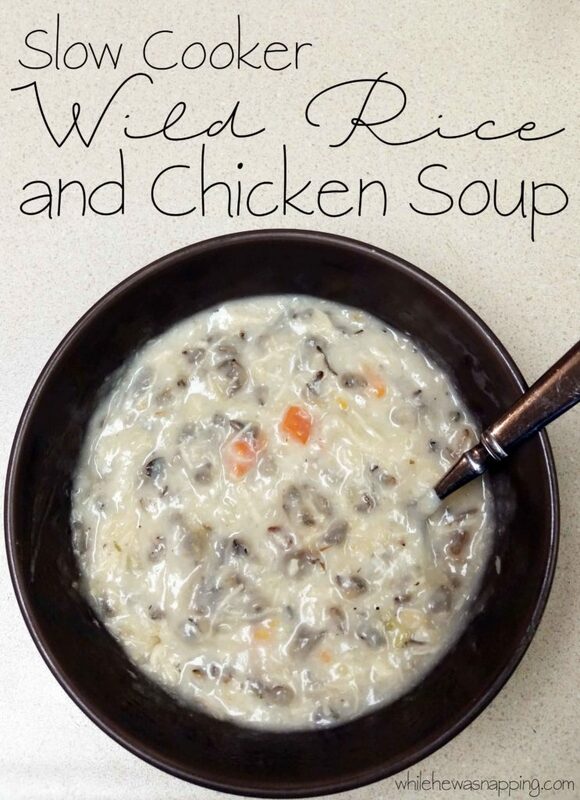 But for dinner, we had delicious wild rice and chicken soup. Some days are just soup days and this soup is the kind that makes you want to snuggle in with a book or good TV show and then go to bed. It’s amazing, make extra! Melt the butter in a small sauce pan and gradually whisk in the flour to make a rue. Add all ingredients to the slow cooker, including the rue. Mix to incorporate. We like ours thick and hearty. 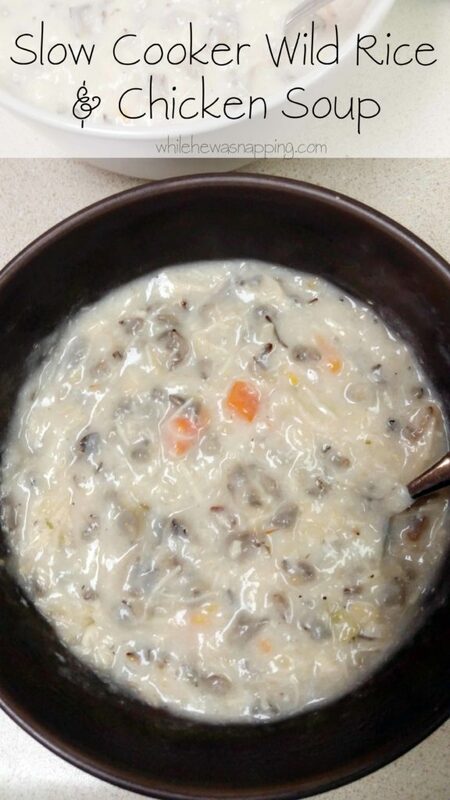 If you want a thinner soup, add 2-4 more cups of chicken broth until desired thickness is reached. You can also omit the rue, but it will slightly change the flavor. This is one of our newest additions to our family menu, joining our family-approved last around Christmas last year. We absolutely love it! Even Little J, who gets bored of eating and has a hard time finishing dinner most nights, gobbles this stuff up. And Baby N, who is in his Mr. Independent stage will let me feed him this soup. Boy knows not to let good food go to waste. Not only is it a hit with the whole family, it freezes fantastically. Which means it’s a great quick and easy menu option too. 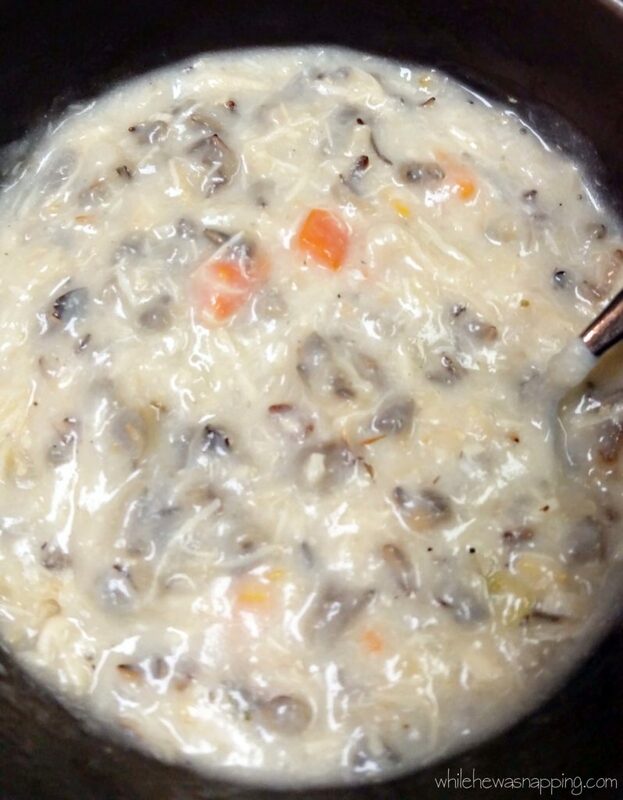 Pull it out of the freezer and warm it on the stove. This soup is hearty, filling and full of flavor. Perfect for cold wintry nights and after a day out in the snow. It makes me wish we had a fireplace so I could eat my soup in front of it. The great part about the slow cooker, besides the set it and forget it part, is that I can make a lot, freeze the leftovers and I’ve made three dinners for not much more work than making one. Total mom score during the busy, hectic holidays.